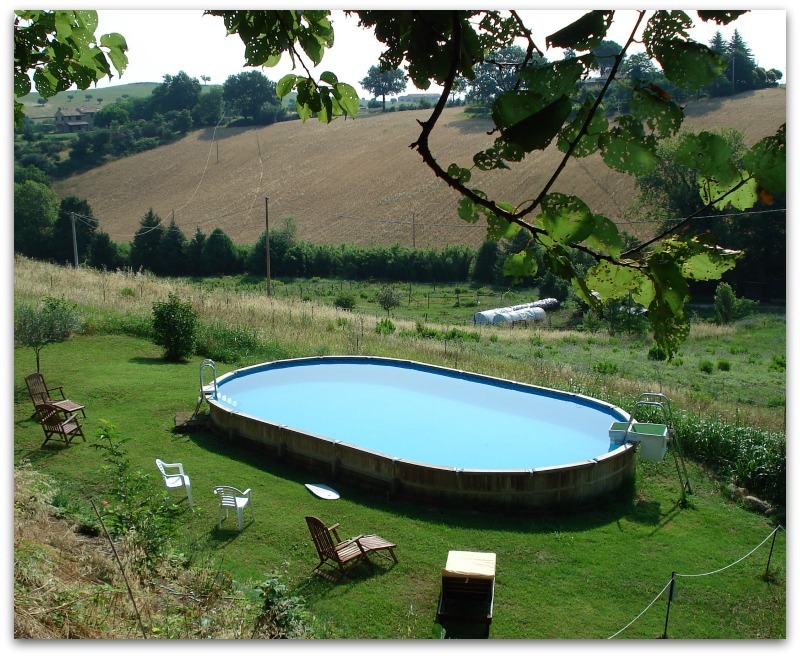 The beautiful Le Marche agriturismo farmhouse of Fontechiara, set in the heart of the rolling hills of the Le Marche region, combines B&B accommodation and a working farm of 8 hectares that produces abundant organic produce for holiday guests. Our Italian farm is located at Treia, named one of the most beautiful villages in Italyand we are a short drive from the beaches on adriatic coast and the stunning Sibillini Mountains and near to many of the most important medieval towns of the Le Marche region. Part of our Italian farmhouse has been devoted to Le Marche and bed and breakfast accommodation, we have four spacious and elegant double bedrooms each with en-suite bathrooms, one of these also has a bunk bed and sleeps three or four. Our continental Breakfast includes of fruits and jams from the Le Marche farm and if you wish you can stay on a half board basis or take an all inclusive holiday in Italy and we can provide you with lunch to eat here or take-away. There are many genres of agritourism in Italy, but an Italy agriturismo is basically an Italian farm that produces and sells food and offers hospitality to guests, either in the form of a restaurant or holiday accommodation. The movement for “Agriturismo Italy” is a government backed initiative to provide tax breaks and finance to Italian farm owners who wish to benefit from these agri tourism incentives by opening their farmhouses for holidays and vacations in Italy. Our Le Marche agriturismo is a working farm or or small holding with animals and crops that include fruit & nut trees and a productive olive grove. With our evening meal option we offer guests the option to sample the wonderful seasonal produce from the farm that comes straight from the garden to the dinner table in the form of sumptuous regional Italian dishes. The beautiful Italian farmhouse of Fontechiara was originally built in 1782 was totally restructured in 1995 to include all modern conveniences. The farm includes a swimming pool and animals that include horses, geese, chickens and doves. Each year we sow vegetables and grow these organically so that the food we offer our guests is fresh and harmless to the environment. We try to preserve as much of our food produce as possible; this includes cold pressed extra virgin olive oil, jams and preserves, prosciutto crudo ham, honey and vegetables under oil. 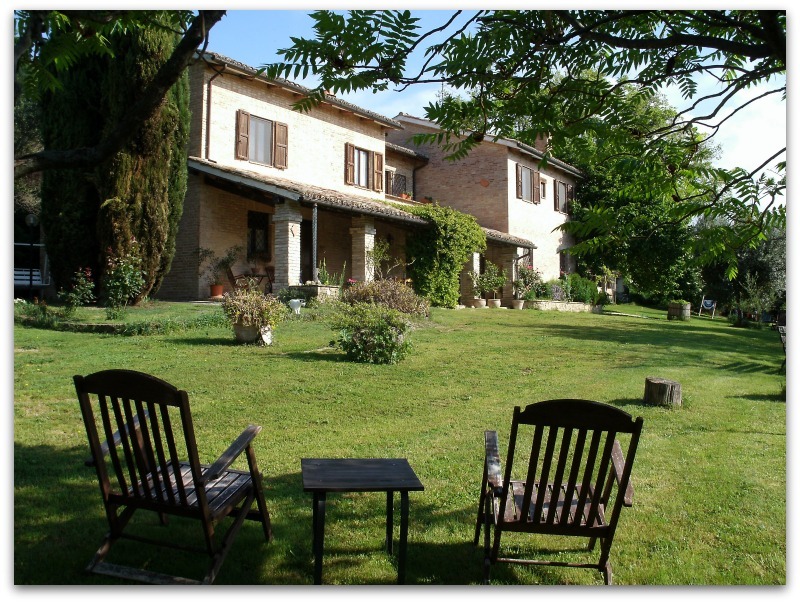 Our Le Marche farmhouse has a large communal lounge with wifi, TV and a library, outside there is a large loggia with a dining table and comfortable chairs, the gardens of the farmhouse include hammocks and alfresco eating areas. There is a pond and guests can partake in archery, boccia (an italian form of petanque or boules), table tennis or horse riding. The terrain around the agriturismo consists of rolling hills rather than mountains and it is ideal countryside for a walking holidays in Italy or a cycling holiday in Italy. 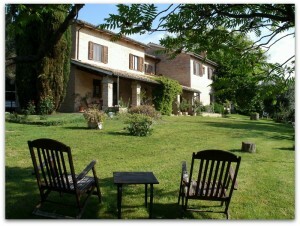 Agriturismo Fontechiara is located in Treia in the province of Macerata in the region of Le Marche in central Italy. 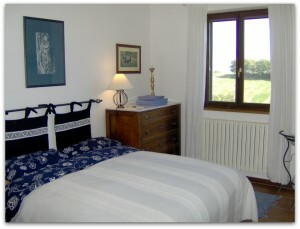 We offer B&B or bed and breakfast holidays or for lovers of slow food there are half board or all inclusive holidays. A vacation at Fontechiara allows you to sample ecotourism, locally grown food, our own organic produce, home cooking and great Le Marche wines in a restored farmhouse with stylishly furnished rooms and excellent facilities including a swimming pool. 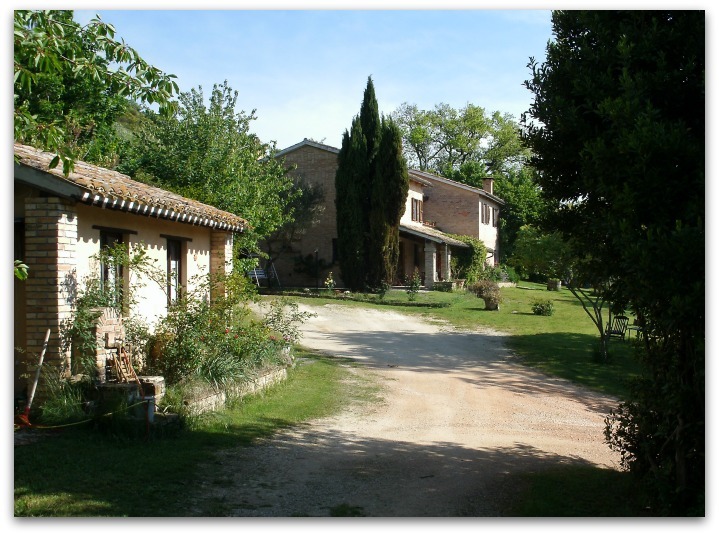 We offer yoga retreats, horse riding holidays, fishing holidays, Italian lessons, olive oil holidays, we offer a dog sitting service and are ideally located for sports and outlet shopping. Le Marche has fantastic beaches, mountains, nature, history, art, activities and more. Please check out our reasonable prices or contact us for more information or to book.